Hi, i need some help i had my abs light and traction control light come on about two weeks ago so i took it to a local garage. He done the diag n said it was abs pump so he brought two second hand ones with the same code but neither one took the lights off the dash. Help!! I have moved this to a better section. It is impossible for us to help you properly without knowing what the fault code numbers are. Get the codes read and printed then cleared. Then drive the car and wait for the fault to occur then read and print the codes again. Then post both sets of results. One thing you can check, on top of the battery there is a fuse box with strip and blade fuses. To the cars left there are three blade fuses called S178, S179 and S180. 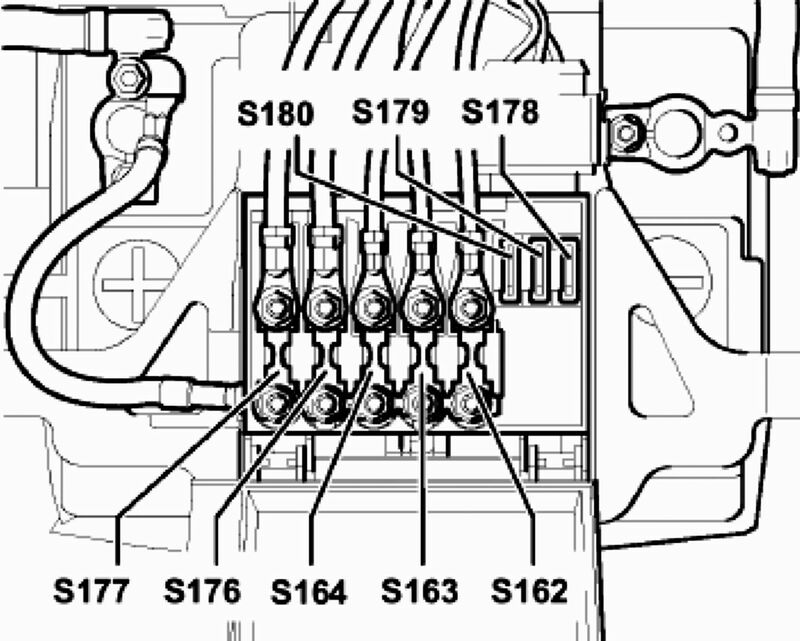 The S178 tends to melt into its holder and loose its connection. The fitting position of the steering angle sender G85 is not O.K. Thanks il get them on asap. Mk4 Golf GT 1.9 TDI, Mk4 covers many year can you be more specific? Can you be more specific on 00930 with the symptom? Wiring/Connector(s) from/to ABS Control Module (J104)/Brake Electronics Control Module (J104). Electrical Interference from External Sources. High Frequency Radiation (e.g. non-insulated Ignition Cable). ABS Control Module (J104)/Brake Electronics Control Module (J104) faulty. Temporarily remove Modifications/Retrofits (including Wiring). Check ABS Control Module (J104)/Brake Electronics Control Module (J104). This Fault Code can only be cleared after performing a Test Drive above 20 km/h (13 mph). Central Locking (Safe) Motor: Left Rear (V163). Inspect mechanical condition of Central Locking components. Check Locking Module for Central Locking: Rear Left (F222). Check Door Lock Part Number. North American Region (NAR) Models do NOT have a SAFE-Switch in their door locks, once these models are being wrongly equipped with a Rest of World (RoW) door lock, a SAFE feedback signal is being sent which causes this code. Voltage Supply for Locking Module for Central Locking; Rear Left (F222) faulty. Locking Module for Central Locking: Rear Left (F222) faulty. Check voltage supply to rear left door control unit or to door main connector (in B-Pillar left). Check/Replace Locking Module for Central Locking: Rear Left (F222). Check Door Contact Switch (F10). Check Central Locking Module Rear Left (F222). Check Central Locking Motor (V115) with Actuator (Lock) Rear Left (F133). Check Central Locking Motor (V163) with Actuator (Safe) Rear Left (F245). Check Child Safety Motor Rear Left (V142). Code 00098-motors for central locking rear left-circuit failure-permanent....code 00930-switch central locking left back;implausible signal-faulty signal-intermittent....01130-ABS system disturbed,external interference-faulty signal-permanent.